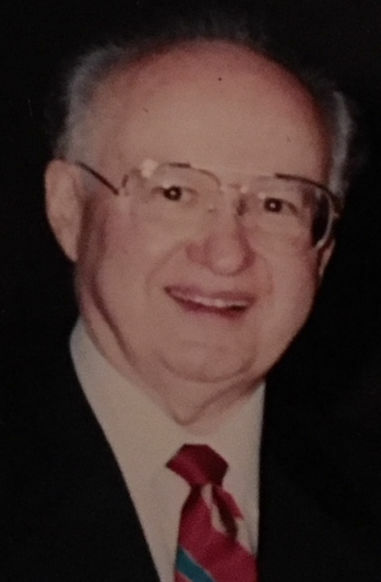 Robert W. Strain passed away on October 18, 2018 in Athens, Texas. He was born November 15, 1924 in Dallas, Texas. He was reared in Athens, Texas, graduating from high school there in 1942 with honors (but just barely). Before and after World War II, he pursued jobs through eleven years of college as a dormitory waiter, term paper typist, clerk in the dean’s office, grader of business law exams, film projectionist, newspaper deliverer, teacher, and entrepreneur (co-owner of photography business for sororities and fraternities, and publisher of PH.D. economic theory notes). He received three degrees (BBA, MBA, DBA) from as many universities, two luckily with honors (Texas Tech Univ., Louisiana State Univ., Indiana Univ.). His doctoral dissertation was entitled, Life with The Lincoln (1905-1955), a History of the Lincoln National Life Insurance Company, which the company commissioned for its golden anniversary. He holds both professional insurance designations: CLU and CPCU. Dr. Strain was an authority in the field of insurance and reinsurance. He was a Professor of Insurance at the University of Texas for three years (1955-1958) after serving on the faculty of Indiana University the previous five years during graduate work. In 1958, he was appointed by Governor Price Daniel as an Insurance Commissioner in Texas, serving the state up to 1964, when he became Executive Secretary of the National Association of Insurance Agents in New York City. From 1964 to 1984 he was Dean and later Vice President of The College of Insurance in New York. In 1984, he resigned to form his own corporation devoted to publishing and reinsurance education, creating and conducting seminars for insurance professionals. He was production editor of two insurance accounting books for the Insurance Accounting and Systems Association: the first four editions of Property-Liability Insurance Accounting (1974-1988), and the first edition of Life Insurance Accounting. In addition, he edited and published five reinsurance books: the textbook Reinsurance, 1980; a workbook for the textbook, Reinsurance Practices: A Workbook with Cases, 1982; the world’s first book on Reinsurance Contract Wording, 1992, revised ever so slightly in 1996; and Reinsurance, 1997, a complete revision of the 1980 text. Appointed to the first examination board of the Insurance Institute of America, he served there for more than twenty years. He has written and spoken on insurance subjects throughout the U.S.A., and in Canada, London, and Manila. He served as an ocean marine insurance consultant for the United Nations, as well as an insurance education consultant for Asian Institute of Insurance in Manila. During World War II (1943-1945) Bob began as a Yeoman in the US Navy assigned to the Chief Cable Censors office in Washington, D.C. and later in Manila, under General MacArthur. He was with the first occupational troops to enter Tokyo, upon the surrender of Japan. He finished his Navy service as an officer in Naval Intelligence Reserve. Bob loved the Lord. His avocation was teaching the Bible. While in Austin he taught an adult class of 50 at The United Methodist Church; taught in New York City at Dr. Norman Vincent Peale’s Marble Collegiate Church (17 years); and then taught in Athens, first at The First United Methodist Church and then at The First Presbyterian Church. He conducted a 13-week course on The Parables of Jesus from which he published “The Parable Secrets Revealed, an Anthology”. Bob’s love of the Lord and knowledge of the Bible put him in a position that families of deceased friends asked him to be part of the funeral service. His excellent speaking voice, command of the scriptures, and deep loving knowledge of the deceased, added much to a meaningful memorial. No one can forget Bob’s sense of humor. He literally carried in his shirt a pocket collection of typed jokes he had amassed over the years, hence he was always ready. Whenever four or more are gathered, you would be sure at some time he would willingly share them with you. If you had heard them previously, you still laughed, as it was his delivery, almost as much as the joke itself which delighted all. Bob treasured his years in the Athens school system. He organized class reunions for classes 1941-1944. For the fiftieth reunion (1992), Bob, with invaluable help from Robert S. Williams, prepared a 377-page notebook of “The Athenian, Official Newspaper of Athens High School for Classes 1941, 1942, 1943, and 1944”, a limited edition of 120 copies each numbered, notarized, and signed by “Editor Robert S. Williams” and “Publisher Robert W. Strain”. As the preface states: “This publication was conceived in the fertile mind of our classmate Bobby Strain. It came into fruition because of his initiative, determination, and perseverance. For sure the Athenian project was conceived and produced with love for Athens High School, for the teachers who did so much to prepare us for later life, and for the classmates who meant so much to each other through the years”, signed RSW, editor. Bob began researching old Athens newspapers in 1992. During the next seven years, he hired researchers to help record over 40 years of newspapers and histories including 4,384 family names. There are over 72,000 entries! The family names were indexed to allow people to find significant mentions of themselves and their family members. In addition, 854 articles of local color are reproduced, e.g., in 1923, school board banned teachers from dancing the tango. In 1924, vehicle traffic through Athens in an average day equals 480 cars, 97 trucks, and 81 wagons. Banks displayed signs offering $5,000.00 reward for dead bank robbers and no rewards for live ones. Copies of the newspapers and the Index Book are available at Henderson County Commission in the old jailhouse on Larkin Street. Bob’s hobbies varied. While living in New York, he tried his hand at “farming”, such as growing apple and peach trees as well as raspberry bushes and grape vines. From the grapes, he made wine while winning five ribbons at the (NY) Dutchess County Fair. Nancy made jams. When he moved to Athens he planted peach, pear, plum trees, Vidalia onions and corn. He learned first-hand the struggles of farmers. Bob loved to read and spent a great deal of time scouting used bookstores and amassing a great many books. He called them “his friends.” In “real life” he gathered friends from grade school through universities, naval service, business, new neighbors and old, and not the least, church members. Like his books, not one was ever abandoned. Bob loved the Bluebirds and built wooden nesting boxes for them. He established several bluebird trails both in upstate New York and more widely here around Athens. In the same vein, he made nesting boxes for the wood duck and whistler ducks that nest along the shore of Lake Athens. It was a joy of his to witness the return of these colorful birds. Bob was a longtime supporter of: Friends of Athens Cemetery, Henderson County Humane Society, Food Pantry, The Disciples Clinic, East Texas Arboretum and Botanical Society, Young Life, Happy Hill Farm and many other local and national charitable organizations. Bob was a 75-year member of the Masonic Lodge No. 165 AF & AM, and a long-time member of The First Presbyterian Church, Athens. Bob considered himself blessed with a superb wife, Nancy Peterson, who recently preceded him in death. He is survived by three children from a previous marriage: Robert, Jr. and wife Mary, of Hartford, CT and North Palm Beach, FL; John David and wife Laura, of Naperville, IL; Lisa Strain Paine and husband Fred, of Fairport, NY, and five grandchildren; Robert III, Thomas, Kathleen, Kelly, and Alison. The family expresses its appreciation for the Genesis Hospice care staff and the commendable and loving care given by the staff of Lakeland House Assisted Living. To the wonderful friends and staff at First Presbyterian Church, we are eternally grateful for their expressions of love and prayer. Special thanks to the medical staffs of Dr. Robert Carney, Dr. Marcus Abadie, Dr. Richard David, Dr. Steve Woodruff, and, last but far from least, Dr. Dwight Bates, for his unfailing friendship and special care of “his buddy” Bob Strain. In lieu of flowers, the family requests that any donations or memorials be given to Genesis Hospice or First Presbyterian Church of Athens, or to a deserving charity of your choice. Visitation will be held at 10:00 AM at First Presbyterian Church of Athens with funeral service to follow at 11:00 AM, all are welcome. Burial services are to follow at the Athens City Cemetery.